If you’re heading to Busch Stadium to watch the St. Louis Cardinals take on the Chicago Cubs on Friday, arrive early and help us paint a bus outside Busch Stadium. 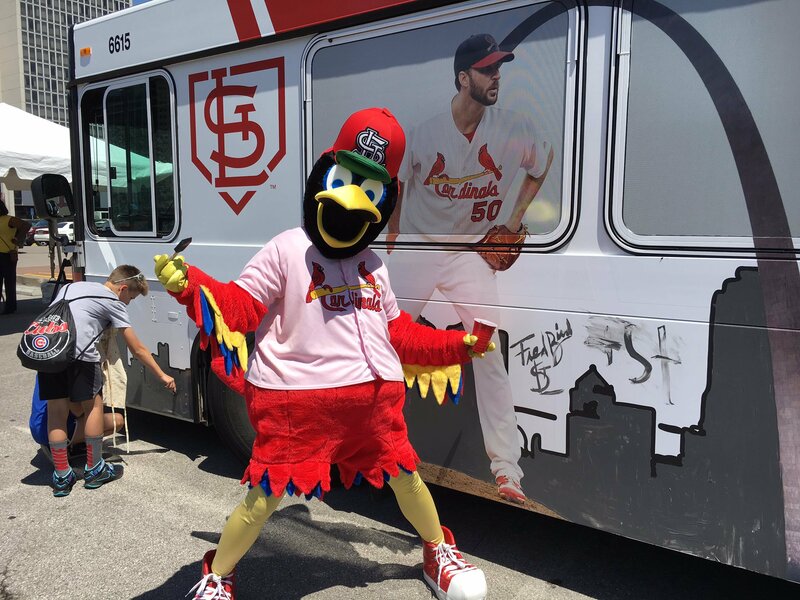 Painters of all ages will have the opportunity to paint two specially designed murals, one on each side of the bus, that celebrate St. Louis and the hometown Cardinals. The bus painting begins at 5 p.m., and the event is free and open to the public. Once completed, the bus will join the Art in Motion Fleet, and the murals will be on display for one year as the bus travels along various MetroBus routes throughout the City of St. Louis and St. Louis County. The bus painting is sponsored by the St. Louis Cardinals, and the murals were developed as a collaborative effort between Metro Arts in Transit and the St. Louis Cardinals.